Remember when your car was your baby? Tough stains weren’t an issue because you wouldn’t allow anything that could cause such a thing anywhere near the interior of your car. Then came real babies. And not-entirely-leakproof sippy cups, juice boxes and dropped crayons (or worse, a misused crayon in the hands of a child that saw that flawless upholstery as a blank canvas) that sit there on the seat or the carpeting until you find them. Which makes tough stains even tougher. What can you do to get your original baby’s interior looking better? 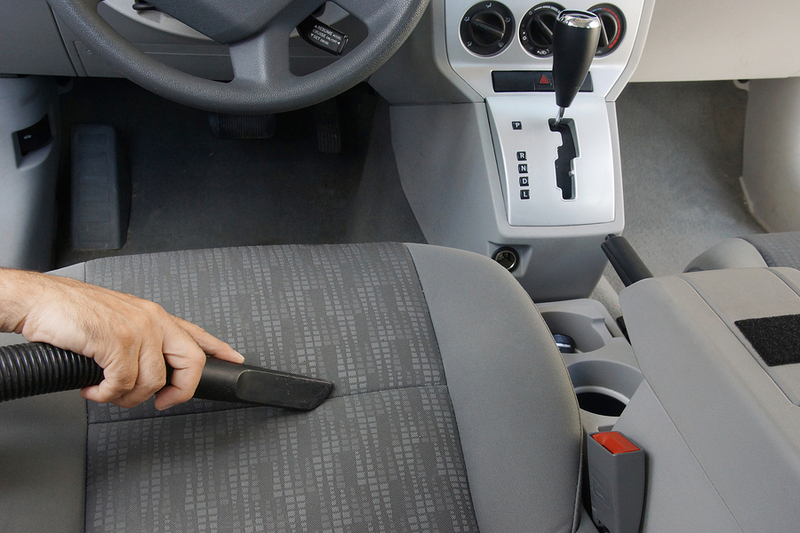 The best course of action against tough stains is a one-two punch: Some early action with some household products, followed by a trip to Mr. Clean Car Wash for an interior detail service. Here are some examples of stains that are tough, but that you can lessen the impact of. Chocolate: Your best bet is to allow it to completely harden before you try to remove it. Get as much as you can, and then blot the area with colorless dishwashing liquid and water, using a light-colored cloth. If it’s milk chocolate, a little ammonia can help. Dark chocolate? A couple of tablespoons of white vinegar. Crayons: Try liquid dishwashing soap and warm water. This one’s a tougher one and the color of the crayon makes a big difference. Fruit Juice: Get some cold water on the stain, followed by warm water with a couple of drops of enzyme detergent. That’s just three. This blog post has ten more that you should know about. When you’ve contained the damage, head for Mr. Clean Car Wash. Not all stains can be 100% removed (red stains, oil or grease generally don’t come out totally), but a good interior detailing can definitely improve the appearance of your car. Make sure to point out and discuss the stains you’re concerned about before the detailing starts. And check this page for coupons on detailing services.